Vacless Automatic Breathers provide immediate vacuum relief upon entrapment by allowing atmospheric air to rapidly fill the pump pot causing it to lose prime. Vacless Automatic Breathers provides peace of mind through a crucial layer of protection against entrapment. No additional plumbing required for installation. Hand screws into the pump’s drain plug. Think of the time and $ Savings! 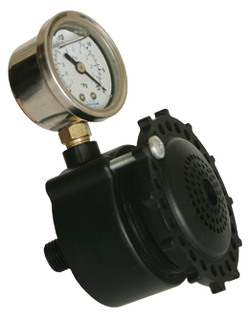 Adjustable valves are factory preset and may be easily field adjusted based on vacuum levels. Can be easily adjusted to accommodate for even the most uncommon configurations for both the residential and commercial pool applications.